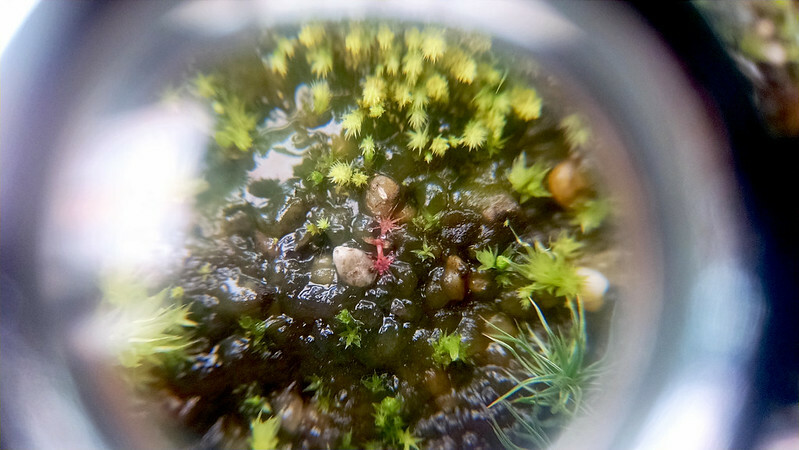 Possible Drosera brevifolia seedling |Sundews Etc. I like my Drosera brevifolia pot because it really seems like an ecosystem. I really like the pronounced red color of this plant. There are the two main plants, another wedged up underneath the center plant, ever-expanding mounds of Sphagnum, and various and sundry other mossy algal things. Plus, D. brevifolia is really funny and small. 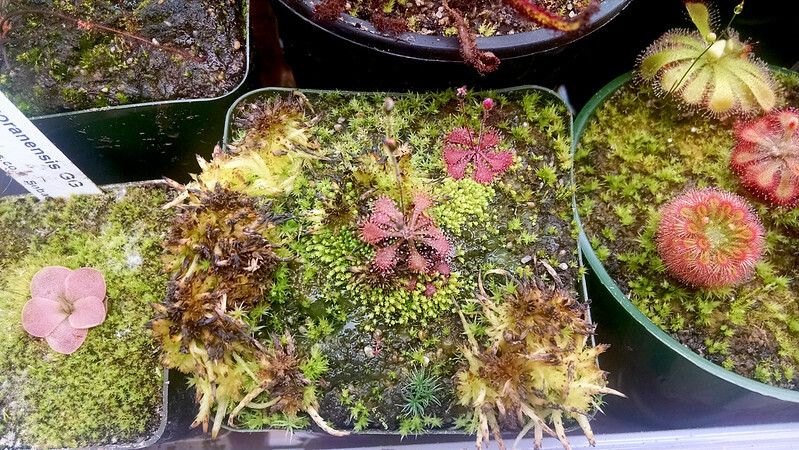 It would be fun, when I have some more time to fiddle with my plants, to put together little vignettes of sundews all growing together, maybe with other carnivores too. In terms of really small though, do you see something just down from the center plant? It's a whole, tiny little world down there. A little sprout! It's even got its first couple carnivorous leaves. I know some D. brevifolia seed got spilled when I put off harvesting a seed pod for a while, so I'm hoping that's what this is. It's also totally possible that it's a Drosera capensis or Drosera aliciae seedling, since those plants go nuts and have long stalks in the same neighborhood as this pot.